Size: 729 sq.ft. - 1601 sq.ft. 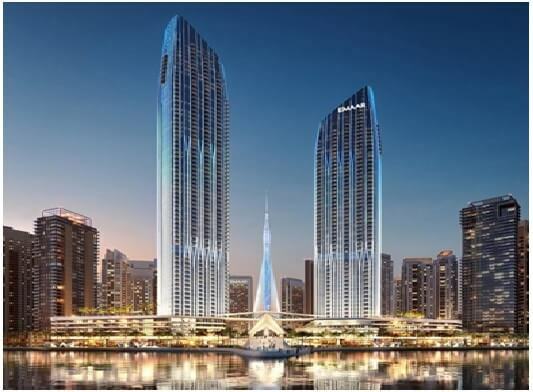 Address Harbour Point contains serviced & Residential apartments and is two high-rise towers project coming at Dubai Creek Harbour by Dubai's famous builder - Emaar Properties. 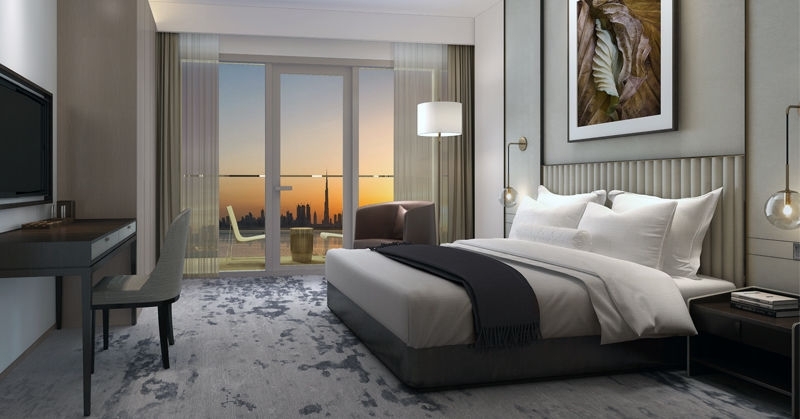 Address Residences Harbour Point will offer 1, 2, 3 and 4-bedroom homes and an exclusive 'Sky Collection' of 4- and 5-bedroom penthouses on the upper levels. Every unit of Address Hourbour Point presenting views of Dubai Creek Tower, the Downtown skyline and the Creek.. 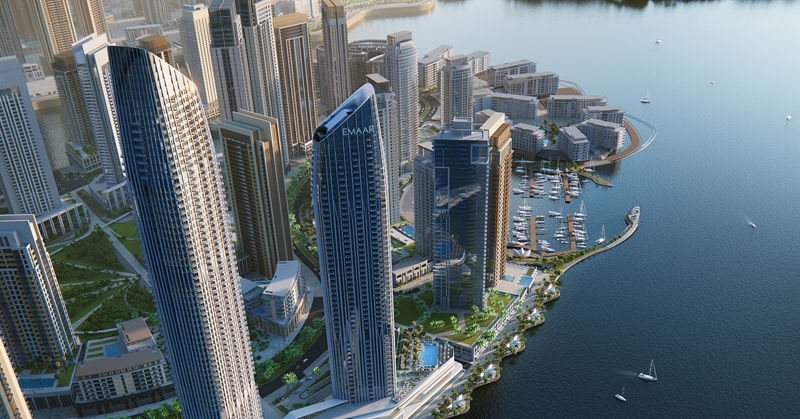 This project will be launched soon by Emaar at Dubai Creek Harbour. Both the towers have 3 and 4 bed units on the higher floors as part of the Sky Collection which offers upgraded apartments with exceptional views. 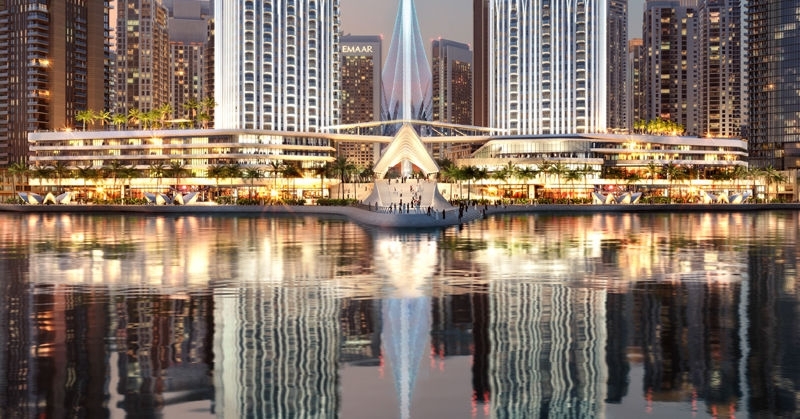 A mixed-use development Address Harbour Point stands 55 storey high which features a serviced apartment components, retail component as well as hotel component. The second tower is a 66-storey tall building which is having purely serviced apartments. Residnets of AHP will have the options of adding these units to the hotel pool. The two towers are connected via a four floor podium level. The podium level also features one and two bedroom podium apartments. The villas apartment starts from 773 Square Feet to 2548Square Feet &Serviced Apartments from 698 Sq.ft. - 1601 Sq.ft. Serviced Apartments consist of 11 floors of Sky units including Podium Units in Tower 2. Emaar Properties is a globally renowned master developer established in 1997. With proven expertise in various competencies like residential, hospitality, leisure and retail Emaar has established its brand as the pioneer for master planned communities. 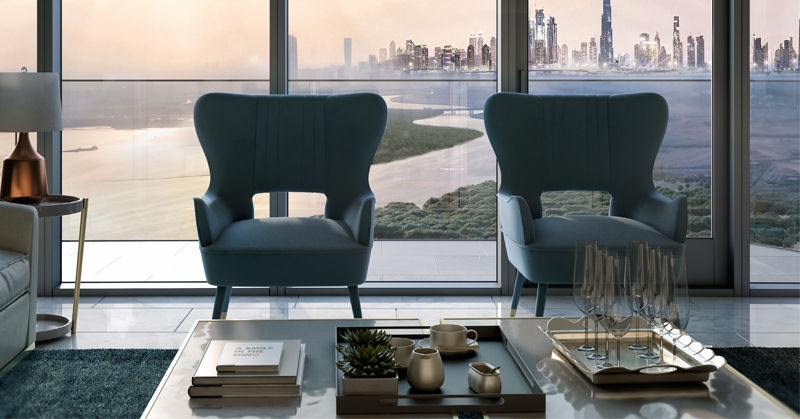 Here are just some of the most iconic Master Developments by Emaar in Dubai: Downtown Dubai, Dubai Hills Estate, Dubai Creek Harbour, The Opera District, Emaar South, Arabian Ranches, Dubai Marina, The Greens. Being the group that built the world’s tallest tower Burj Khalifa, Emaar has gained popularity not only in the United Arab Emirates (UAE) but also in different parts of the world. The developer is also known for its high quality residences and office spaces located in its key master developments. This residential property is located at Dubai Creek Harbour,in the neighborhood of Dubai Creek, UAE. The latest addition "Address Harbour Point to Dubai Creek Tower enjoys internal & External amenities like Restaurant, Retail area, Room service, Concierge service, Sauna, Security gate, Cleaning service, Fully furnished, Garage, Gymnasium, High-speed internet, Standard pool, Steam room, Valet parking, Video security, Doorman, Jacuzzi, Kids club, Common courtyard, Common garden, Prayer room, Reception service, Smart home technology, Laundry service, Meeting room, Overflow pool.